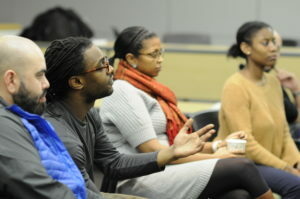 A panel of residents and fellows shared advice with medical students, as part of a new program called STRIVE. A group of Northwestern medical students gathered recently to listen to a panel of residents and fellows discuss topics ranging from choosing residency specialties to preparing for interviews, as part of a new program called STRIVE. 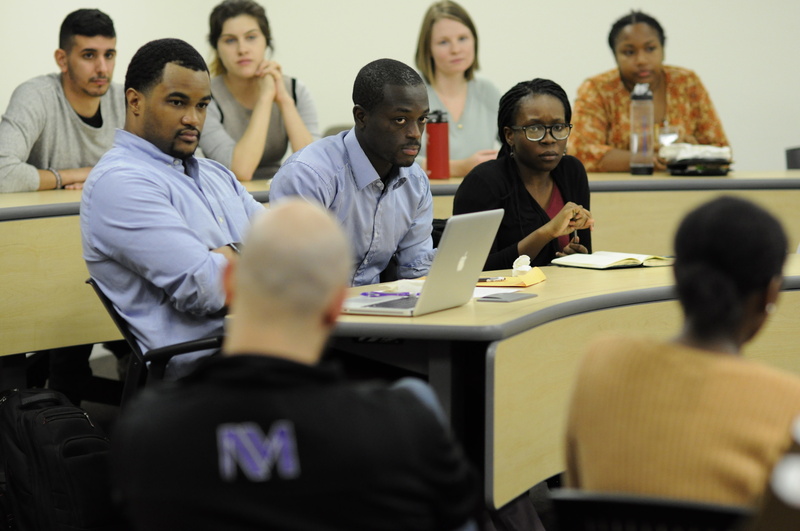 Quentin Youmans, ’15 MD, a resident in internal medicine, started the STRIVE program to build relationships between medical students, residents and fellows from underrepresented backgrounds. Throughout the evening, housestaff shared stories from their own experiences: how they decided which specialties to pursue and how best to prepare for rotations. They encouraged students to take time to meet medical professionals in different disciplines and gain as much exposure as possible in fields they might be interested in pursuing. Throughout the evening, topics that were discussed included the transition between being a medical student and intern, timing residency interviews and managing finances. Other topics that were discussed included the transition between being a medical student and intern, timing residency interviews and managing finances. Another panel is planned to take place in early February, and Youmans said the group is planning four sessions per year.